Life Scout Tristen Nelson received a check from Tech. Sgt. Michael Burd, Air Force Sergeants Association Chapter 1328 president, Feb. 26. 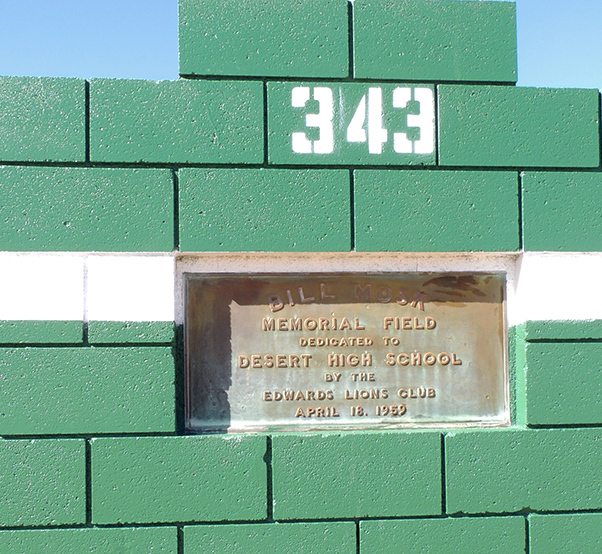 The money was used to renovate the baseball field’s outfield fence at Desert High School as an Eagle Scout project for Nelson. Air Force Sergeants Association Chapter 1328 helped a local Life Scout, a Desert High School junior, improve the baseball facilities at DHS. 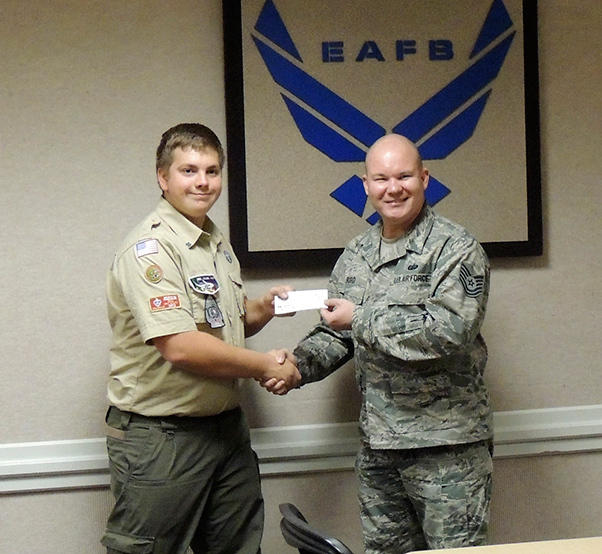 Life Scout Tristen Nelson was looking to raise money to renovate the outfield fence at DHS as an Eagle Scout project. Staff Sgt. 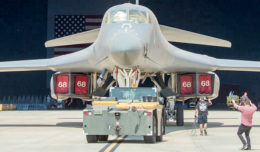 Michael Burd, AFSA Chapter 1328 president, sent out a challenge to the general membership saying that any donations raised for this project will be matched dollar-for-dollar by him. Life Scout Tristen Nelson was looking to raise money to renovate the outfield fence at Desert High School’s baseball field as an Eagle Scout project. The result is a newly refinished outfield fence to include new paint and foul lines at DHS. The baseball field was originally built in 1959. AFSA raised $200 along with $100 donated by the Edwards Officers Spouses Club, and $100 by the Desert High School Parent Teacher Organization. The result is a newly refinished outfield fence to include new paint and foul lines at DHS. The baseball field was originally built in 1959. AFSA supports the Boy Scouts and Tristen Nelson is from Troop 247 from Edwards AFB. Burd said AFSA tries to help raise money to donate to projects and unfunded sports at DHS, along with involvement in other community endeavors.